Please see our player page for J.A. Happ to see projections for today, the next 7 days and rest of season as well as stats and gamelogs designed with the fantasy baseball player in mind. There’s nothing quite like the mid-season grind and we’re in the thick of it at this point. Something I’m looking forward to this week is all of the players returning from the IL. While that doesn’t necessarily impact our streamers, it is something to keep an eye on when constructing lineups. In terms of streamers, we need to keep track of the weather. There is rain forecasted all over the country in the midst of spring and it could definitely alter some of these starts. With that in mind, let’s get started with some two-start streamers. We’ll be focusing mostly on the Main slate today, which is a 7:05 PM ET lock, but I’ll be sure to sprinkle in an afternoon play here and there for those of you who like that sort of thing. Both slates feature a tidy six games. The Main slate also features everyone’s favorite, Coors field! When trying to squeeze in those Coors bats with their inflated prices, we’ll need to find some cheap pitching and the occasional cheap hitter. A cheap pitcher I’ll be targeting tonight is Kyle Wright ($6,100). Wright had a fantastic spring and won the starting gig over preseason favorite for the spot, Touki Toussaint. That’s nothing to shake a stick at but Wright stumbled out of the gate. I’ll chalk that “meh” first start up to nerves and starting your first career game in the hostile city of Philadelphia. Five walks in four innings is pretty rough but that’s more walks than he had his entire spring training. Tonight we’re out of the band box in Philly and into home field advantage against a much weaker opponent in the Marlins. I mean, just look at that lineup…bleh. I like Wright and hope I’m not wrong tonight! The fantasy baseball season has officially kicked off and we have real, live draft data to sift through. Numbers nerds, assemble! We have spreadsheets, charts and ADP, oh my! It was a busy first week here at Razzball Commenter Leagues HQ but I’ve gone through each league that has drafted and added their drafts to a master spreadsheet in order to calculate RCL ADP. We’ve had eighteen leagues draft already, so there’s plenty of numbers to look at. We’ve had some close calls, but all leagues have filled so far and we’d love to keep it that way. We don’t want to axe any leagues, so if you notice your league is not full the day before the draft, hit us up on Twitter: @Razzball or @MattTruss and let us know. 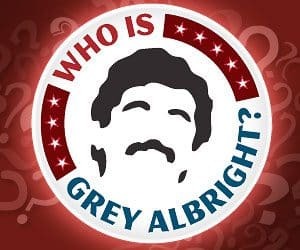 You can also leave a comment in Grey’s most recent post and/or invite a friend to join. 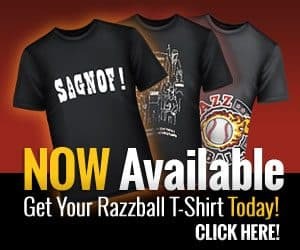 I know, sacrilege to tell your fantasy baseball friends you read Razzball, but sharing is caring. Speaking of sharing, jump below and I’ll share with you a fancy RCL ADP spreadsheet for your perusing pleasure.